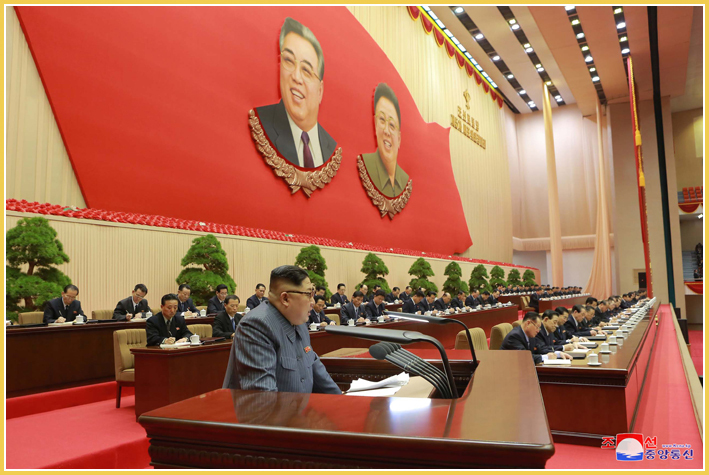 Kim Jong Un, Chairman of the Workers' Party of Korea, made a historic speech Let Us Strengthen Party Cells into Loyal Cells, into Vanguard Ranks for the Implementation of the Party's Policies at the third-day meeting of the 5th Conference of the WPK Cell Chairpersons on December 23. Noting that successes and experience gained in the work of the Party cells after the Forth Conference of the WPK Cell Secretaries and defects existing or betrayed in their work were correctly analyzed and reviewed at the current conference, he said the conference offered an important occasion in fixing a right orientation in the future efforts for further strengthening the Party cells. Stressing that the WPK is now faced with the tasks to attain the higher goal for building a powerful socialist nation advanced at the 7th WPK Congress by enhancing its guiding ability and working efficiency under the unfurled banner of modelling the entire Party on Kimilsungism-Kimjongilism, he said the lowest-echelon Party organizations, notably the Party cells, should further their function and role and launch positive activities in order to successfully carry out the important tasks facing the Party. To strengthen the Party cells at present is an urgent requirement for accelerating the victorious advance of the cause of building a powerful socialist country despite all trials and challenges. All Party cells should hold high the slogan "Let Us Strengthen Party Cells into Loyal Cells, into Vanguard Ranks for the Implementation of the Party's Policies!" Whether to strengthen the Party cells as planned and intended by the Party Central Committee or not entirely hinges on the role of the cell chairpersons. The working efficiency of the Party cells has been further strengthened and lots of improvements have been witnessed in the traits and working style of the cell chairpersons since the Fourth Conference of the WPK Cell Secretaries, but the working style, power of execution and activities of the Party cells have not yet reached the level wanted by the Party Central Committee. The Party cell chairpersons should strengthen the organization and guidance over the Party life with a main emphasis on the work to firmly prepare all Party members of the cells to be steadfast revolutionaries, true Kimilsungists-Kimjongilists. They should direct their primary attention to strengthening the ideological life of Party members and deepen the five-point education. They should meticulously guide and control the organizational life of Party members with a main emphasis on the work to thoroughly establish the Party's unified leadership system and enhance the spirit of Party members. They should strengthen self-criticism and criticism among Party members so as to actively combat all unsound practices. There cannot be a special person in the Party life and double standards of discipline should never be allowed in the Party cells, he noted, stressing the need for the Party cells to which officials belong to make a strict demand for the Party life of officials so that they may take a sincere part in the Party life with the attitude of ordinary Party members and work in high-tension atmosphere under the education and control by Party organizations. He also underlined the need for the Party cell chairpersons to concentrate efforts of the Party cell work on strengthening Party cells into the vanguard ranks for the implementation of the Party's policies. He called upon the Party cell chairpersons to put a main emphasis of the Party cell work at present on implementing the decisions of the Second Plenary Meeting of the 7th Party Central Committee and attaining the goals of the five-year strategy for national economic development and to arouse all the Party members and other working people to the drive for carrying them out. He stressed the need for them to encourage all the Party members and other working people to overcome difficulties and ordeals and bring about an upswing in production in the fighting spirit of self-reliance and fortitude with a firm conviction of sure victory and confidence in their own strength as required by the prevailing situation. He underscored the need to make the work with people the one with their minds and feelings in order to give full play to the collective innovations and popular heroism in carrying out the Party's policies and the revolutionary tasks. The Party cell chairpersons should make positive efforts to grasp the traits of primary political officials of the Kimilsungist-Kimjongilist Party and the revolutionary mass work method, he said. He referred to non-socialist practices harmful to defending our-style socialism at present, and stressed that they occurred because Party organizations, working people's organizations and officials failed to persistently conduct education among Party members and other working people and intensify ideological struggle. Underscoring the need for conducting revolutionary offensive to uproot non-socialist practices, he said the offensive should be launched in the Party cells, the bases educating Party members and other working people and training them into revolutionaries and the lowest revolutionary posts defending Korean-style socialism. We should make genuine moral principles and our style advantageous socialist morality in which all people respect each other, repose trust, cooperate with each other and help ailing and disabled persons and those with difficulties, sharing pleasure and sorrow, enjoying happy and affluent life and advancing altogether, prevail in the whole society, he said. The entire Party should prioritize the Party cells and direct main efforts to improving their work. The Party committees at all levels should build well the ranks of Party cell chairpersons and exert efforts to improve their political and practical qualifications. The issues arising in enhancing the militant function and role of the Party cells should be reflected in the working plans of Party committees, and Party officials should personally go into the Party cells to help them. The work to make loyal Party cells should be dynamically pushed ahead and the Party leadership should be deepened so that the loyal Party cells can hold fast to and continuously glorify their honour. To strengthen Party cells means to strengthen our Party and the role of Party cells leads to the guiding ability and working efficiency of our Party. 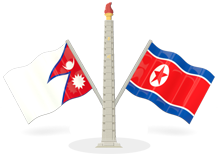 Let all of us work hard to strengthen the WPK and achieve the victory of the revolutionary cause of Juche, being conscious of the mission we assume before the Party and the revolution, the chairman of the WPK stated.